Most people's issues with The Conduit didn't focus on the controls which were, in general, pretty good, but High Voltage Software is clearly keen to tidy them up with the sequel, announcing that the follow-up will support the MotionPlus peripheral for even better accuracy. Rather than taking the Red Steel 2 route and making the accessory essential, it will be entirely optional, but High Voltage promises the add-on will "create the most responsive control system ever." How MotionPlus can help to improve on the Wii's first-person controls is yet to be seen, so stay tuned for our First Impressions on Conduit 2 after a hands-on session at E3 next week. LONDON & SAN FRANCISCO (10th June, 2010) – SEGA® Europe Ltd. and SEGA® of America, Inc. today announced that Conduit 2™, the latest collaboration with High Voltage Software, will support Wii MotionPlus™ enabling precision control and better tracking. The Conduit series is famed for its detailed control system allowing players to customise and configure their controls, including look sensitivity, turning speed, the dead zone and much more. Conduit 2 will use Wii MotionPlus to create the most responsive control system ever, as well as improved edge tracking and transitions to pointer control. 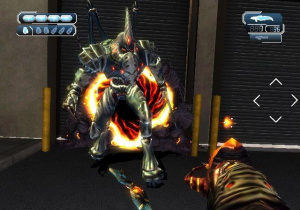 "Wii MotionPlus is something that the fans have been asking for since it was announced - we looked at it for the original game, took a look at its implementation in other titles, and ultimately felt that we could add to the experience in Conduit 2 by supporting it." explains Eric Nofsinger, Chief Creative Officer of High Voltage Software.“It's by no means required - gamers will have a great experience without it - but it does offer a level of extra control and adds value to those with the accessory." Conduit 2 will be playable at SEGA's booth (#2023) at this year's Electronic Entertainment Expo and will be released exclusively for the Wii™ system from Nintendo in Fall 2010. Nice to hear that M+ will be optional instead of necessary. I think the real question is... Why would you NOT implement the already existing technology in your game? Hmm, maybe this will help have better control over the game's ASE. C2 is looking good. I may be tempted to pick this up... I still need to pick up an M+ but if its optional... No worries. At least they're thinking of those who haven't got it yet. I'm guessing it'll be used for off-screen pointing, like RS2. I don't really see the added value of WM+ in a shooter. You point and shoot. I understand it if there was swords play or something like that (as in Red Steel 2 or Wii Sport Resort), but unless I'm mistaken that's not the case here. My thinking is that it will be used to improve aiming when you're outside the pointer's range. This didn't really cause an issue for me, but I suppose that it could allow for smoother aiming when you're pointing offscreen. I'll definitely be picking this game up. Even though I never really kept up playing Conduit 1, I found it to be pretty enjoyable whilst it lasted, and the online mode was awesome. I loved the pistol, and could just raep everyone with it. The Halo 1 pistol came t mind when I was using it. I still don't quite understand why they changed the title to Conduit? How woul it improve Pointer Controls? Metroid Prime 3 set to 'Advanced' was Perfection. Although the turning around could of been a smidge faster. If anything, HVS should be sticking weapon play into Conduit 2, or Puzzle solving, or interacting with objects when using MotionPlus. But this is very interesting, Hopefully the Conduit 2 turns out solid. The original just looks generic, boring, dull and lifeless. That was the one thing I loved about The Conduit and what made it so great (the controls). Hmmm....in the first game, the shrieker (I think thats the name) allowed you to control the bullet after it was shot. If there is a gun like that in Conduit 2, M+ could really add to the control. I'm also not entirely sure how M+ would help (how do you aim at something offscreen anyways)? Once again, I look forward to hearing impressions from the show floor. Hooray for E3! Awesome. Headbusting with percision. Love it. Even if it gives the tiniest benefit, it's a handy thing for anyone that already has the device. The Conduit is/was cool. I have high hopes for Conduit 2! Come on HVS! M+ does help point controls dramatically.. See for yourself. High Voltage Software said the name changed because they grew attached to it. 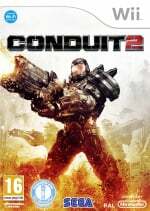 "Conduit 2" was just what they named their project while it was in early development, and it stuck with them. They also said it was much easier to phrase, and it narrowed down the wordiness of "The Conduit 2".